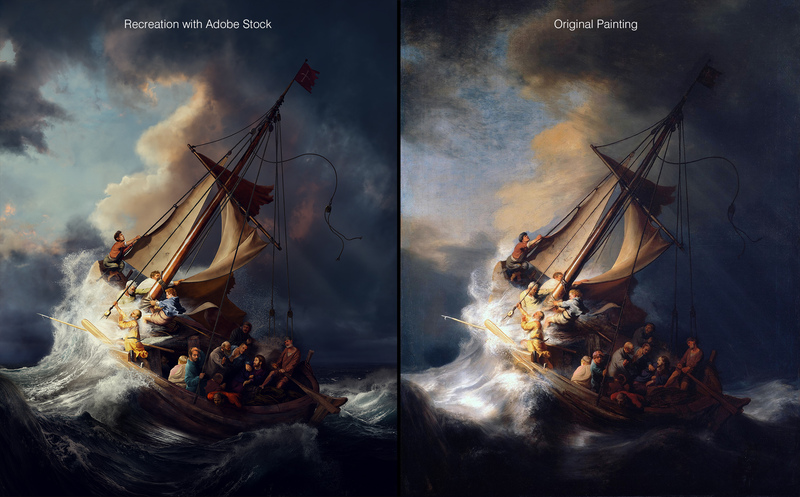 I was commissioned by Adobe to re-create Rembrandt’s lost masterpiece “Storm on the Sea of Galilee” which was stolen in 1990 from the Gardner Museum in Boston, Massachusetts. I was tasked to make it look as close to the original as possible, entirely out of Adobe Stock photography. It was extremely challenging and one of my most difficult projects. 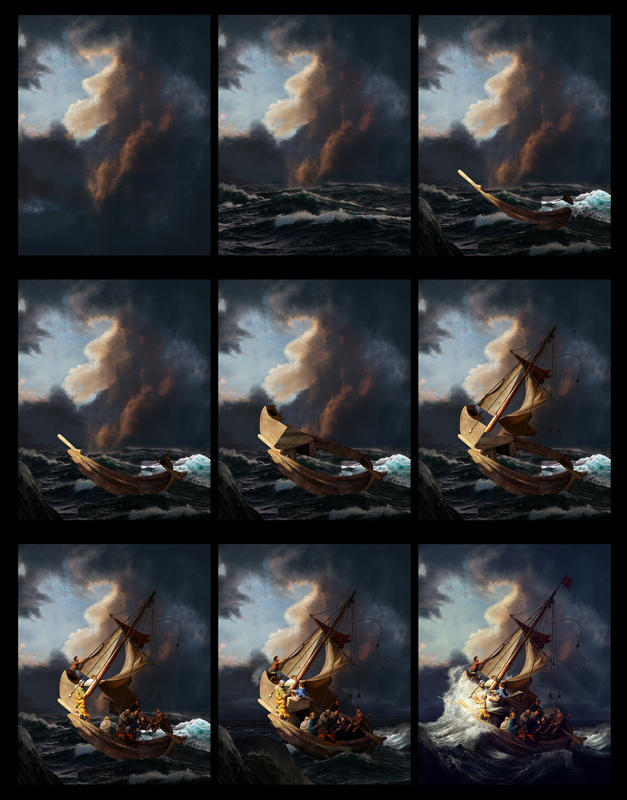 On a brief note, it took 247 stock images and 20 days to complete. 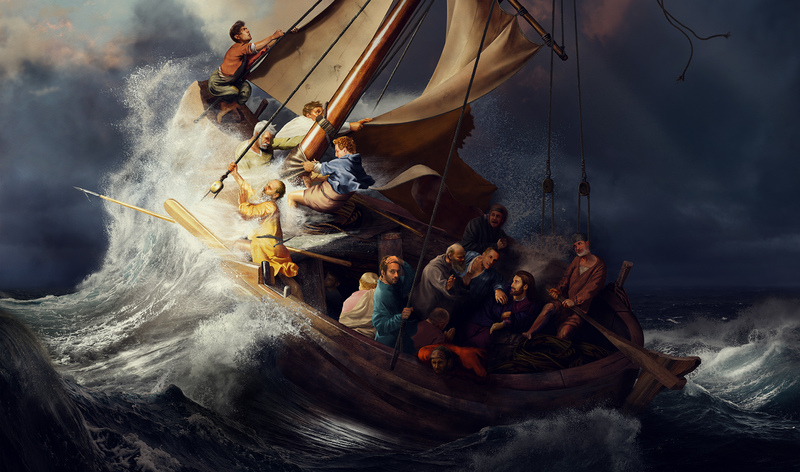 This piece is featured in the Adobe Stock Make a Masterpiece campaign. 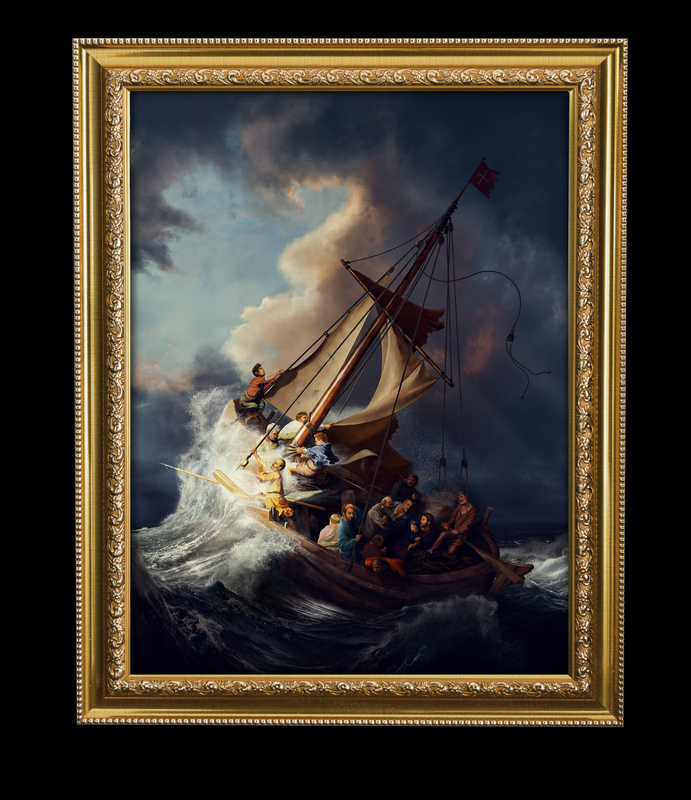 I was commissioned by Adobe to re-create Rembrandt’s lost masterpiece “Storm on the Sea of Galilee” which was stolen in 1990 from the Gardner Museum in Boston, Massachusetts. I was tasked to make it look as close to the original as possible, entirely out of Adobe Stock photography. It was extremely challenging and one of my most difficult projects.